Such a pleasure producing another video for SOAP favorite, CYN, directed and shot by the extremely talented Ben Richardson (Beasts of the Southern Wild / The Fault in Our Stars / 1922 / Wind River / Yellowstone). We were delighted to work with Atlantic and Fueled by Ramen on the production of Dashboard Confessional’s first ever lyric video for their latest single “KindaYeahSorta”! Concord Records approached SOAP to create something sleek yet dynamic for Aussie pop-rockers, Castlecomer. Check out the latest lyric video design work SOAP executed for Seven Lions and his smash single “Ocean” with Jason Ross and featuring Jonathan Mendelsohn. The concept for this lyric video centered around the song’s storytelling nature by incorporating visuals that spell out all of the key imagery contained within the track in a light-hearted and entertaining manner. By using a series of customized photos, cartoons, pop art and other layered graphics, the viewer is taken on an exotic journey into the world of island partying and all of its larger than life characters and eccentric scenarios. Though many of the situations described are somewhat gritty in nature, we endeavored to strike an appropriate balance by coating the underbelly of the party world with a fresh, modern and commercial lick of paint. Bright and vivid colors were a staple of the piece along with dynamic, animated typography and motion graphics, accentuating the song's "poptastic" sonics at every moment possible. Recently premiered in Harper’s Bazaar magazine, check out our latest video for “Blue Hour” from CYN’s “Blue Hour” series. The first of the "Blue Hour" lyric video series, "Alright" exudes the effortless-cool vibe heavily present throughout the song. A dreamlike John Hughes classroom setting and principal's office set the scene for our two characters: "cool girl CYN" and "rebel boy CYN" who perform the track to camera while the lyrics elegantly dance along the bottom the frame. The video culminates with our two characters, both played by CYN, joining each other to perform the song delivering the final touch to this fun piece. We were delighted to work with Involved Management and Seven Lions again on the lyric video design for his latest single "Calling You Home". "Hold My Love" is an infectious track with moody keys and synth lines, hair-raising builds and an unforgettable hook. The idea for this lyric video centered around the artist's name and logo, the concept of "Darwinism" and a playful take on the theory of evolution. Using a looping animated evolutionary chart / timeline (that feels as if it is on a conveyor belt) as the recurring focal point, we incorporated a series of lively, 3D animated characters appearing over the backdrop. A combination of textures and other symbolic imagery reveals itself throughout synced to the rhythmic and percussive elements of the track. "Higher Love" is a euphoric anthem that deserved an equally epic visual. In this video, our enchanting lead finds herself exploring a beautiful wooded area in search of her metaphorical utopia or "higher place". Aerial flyover footage was the staple of this piece, reflecting the smooth, weightless qualities of the song's verse and pre-chorus, leading into the heart-thumping build and inevitable, thunderous drop. Faster paced, glitchy, sharp cuts and effects matched the frenetic chaos of the song's chorus "Light me Up!" In this video, CYN plays an extreme and over-the-top super fan of a certain male celebrity heartthrob. Every inch of her shrine-like bedroom is dedicated to him in the form of memorabilia, fan art, posters, magazines etc. A highly strung, Type A personality, her obsession levels are impossible to control with irrational emotions constantly bubbling under the surface and on the verge of exploding in an almost sinister fashion. Throughout the video we find CYN cutting out photos from magazines and stalking his social media accounts. She shows up at his most recent locations and savors / collects things he's thrown away. She devises a CSI-like evidence board full of pins and pictures as she plots their impending encounter. The video culminates with CYN finally finding the perfect moment to approach her target, racing towards him and doing something wildly bizarre like jumping on him and licking his face. Capitol Records contacted SOAP when they needed a lyric video for R&B sensation "Ne-Yo" featuring "Juicy J" for the single "She Knows". Combining sultry footage of female dancers with dynamic typography, this has become Ne-Yo's highest performing lyric video with approx. 24 million views! Katy Perry's Unsub Records approached SOAP with a view to creating something delightful for her exciting new protégé, CYN. Reflecting the thematic scheme of the lyrics by using things that go "Together", this video follows a young couple spending a lazy day inside their apartment engaging in a series of cute and fun activities. 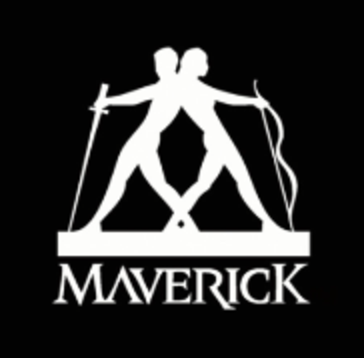 Maverick's "Hariz" and Enhanced Music's "Zookëper" came together for this incredible collaboration on a remix of the former's debut track, "OVRBRD". In search of a lyric video that reflected the single artwork, as well as providing an introduction to Hariz as an artist, we took to the beach to shoot a moody and stirring performance that would be used as the basis for the piece. Combining that footage with a series of drone shots, scenic B-roll, intricate ramps and transitions, the video accentuates both the flowing nature of the song and its dynamic, percussive changes to provide maximum impact. Canadian rockers "Nickelback" were on the cusp of launching their "No Fixed Address" record when they decided to initiate a video campaign for three different singles ahead of its release. After telling SOAP of their plans, we set about to create the first of three different videos starting with their song "Million Miles an Hour". This piece consists of state of the art, animated visuals and motion graphics that gave the song's psychedelic subject matter a futuristic twist. The band and team loved the visuals so much that they decided to include them in their set during their world tour. Nickelback turned to SOAP again to develop a lyric video for their single "Satellite". The band asked that we adopt a simple stylistic approach for this one that reflected the spacey, starry imagery present throughout the song's lyrics. On "Ice Cold" we teamed up with the talented Jake Hilger to create a music video that mirrored the unapologetic nature of the Meen Streets sound. Taking place in a local dive bar, a janitor goes about his nightly shift before spinning his vinyl version of "Ice Cold". Losing himself in the music, he transports his mind away from the drab nature of his job to a complete state of careless freedom, dancing to the song in an emotive and sensually captivating way. With lyrics that veer between emotional sincerity and satire, this visual reflects both the tongue-in-cheek and no holds barred nature of the track. We also combined a number of retro aesthetic elements with a modern production sheen that is so apparent in the music itself. Meen Streets - "Ice Cold"
Universal Republic contacted SOAP when they needed a video for Owl City's single "My Everything" off "Mobile Orchestra". With a short lead time, we took to the Angeles National Forest to shoot a sincere and natural performance piece that effectively communicates the song's humble and earnest qualities. "Flag & Anthem" for their Holiday 2016 campaign. SOAP organized, shot and edited a private show for the band's super hometown fans that took place underneath the Golden Gate Bridge, hidden away within one of the bunkers in Battery Park. The show was cut to the band's single "Wrong" and was accompanied by a behind the scenes edit along with two social media trailers. Additionally, SOAP oversaw all line production for the look book lifestyle shoot. American DJ / Producer, Seven Lions, teamed up with the incredible Lynn Gunn (of PVRIS fame) to make the EDM smash "Lose Myself". Editing 4K video footage from his Webster Hall show in NYC, we incorporated vivid typography to create a fun and engaging lyric video. Photo Finish / Republic Records came to SOAP when they were looking for a lyric video to promote The Mowgli's fun-loving single, "I'm Good". We came up with a theme surrounding summertime and holiday postcards which portray the upbeat, sunny nature of both the band and their incredibly hooky song! Fearless Records thought of SOAP when they were looking for a video campaign for The Downtown Fiction's "Losers and Kings" record release. Combining live action footage, stop motion visuals and animated typography, we created lyric videos for singles "Kiss My Friends" and "Cool Kids" as well as video visualizers for the entire album. Rocnation came to SOAP in search of a visual for actor turned R'n'B up-and-comer, "Mack Wilds" and his single "Crash". With a quick turnaround time due to the impending album release, they requested something smooth to match the sonic landscape of the record with a sprinkling of tasteful animation. We opted to use silhouetted images of models combined with a handwritten font that would appear both over their faces and around their bodies in a glow-in-the-dark fashion. We also incorporated some camera jitters and flickers with some slow pans and zooms to give the piece the feel of a modern hip hop video. Universal Republic were in need of additional content for Hailee Steinfeld's "Love Myself" breakout campaign. Having teamed up with Vevo Lift, we created a throwback style, "Fun Facts" video brought to you by Mcdonald's "Music Never Stops". This video was an absolute blast. With only 48 hours to put the production following the green light, we rallied to assemble fans, extras, dancers, a location and crew to create this fun, viral piece. The aim was to reflect the candid and unpretentious social media (Vine, Instagram) style content that the KAM fans knew and loved. Shooting solely on GoPro cameras, we threw an impromptu house party that saw Kalin and Myles performing the song throughout. Originally intended to be an unofficial piece of "viral" content, the video has become their number one performer with close to 15 millions views! New Zealand brother-sister duo "Broods" had just released their debut album "Evergreen" and were in need of video content for their campaign rollout. Capitol Records chose SOAP to create a lyric video for the band's heart-wrenching "Four Walls" track that incorporated a mixture of live footage with dynamic, animated lyrics that work their way in and around the performance. Photo Finish Records turned to SOAP when they were on the hunt for a "Fun Facts" video for pop-rockers "Misterwives". Teaming up with Vevo Lift (brought to you by Mcdonalds), this fun piece was edited to the band's breakout single, "Reflections". The awesome people at Enhanced Music in London were after something animated and 3D intensive, with a Porter Robinson flair, for this sugary sweet track by Anki Ft. Hicari and that's exactly what we did! Watch as Anki's 3D modeled logo floats and flies along to a constantly forming and eroding path of colorful waves and exploding particles. Copyright © 2016 SOAP Communication, LLC.